Swallow Falls State Park is my favorite place for photography in the entire State of Maryland. It's a relatively small park, but it boasts the oldest White Pine and Eastern Hemlock trees in MD. Some of them are over 360 years old. There are four falls in the park. The Youghiogheny River flows through the park, and on it are both the Upper and Lower Swallow Falls. 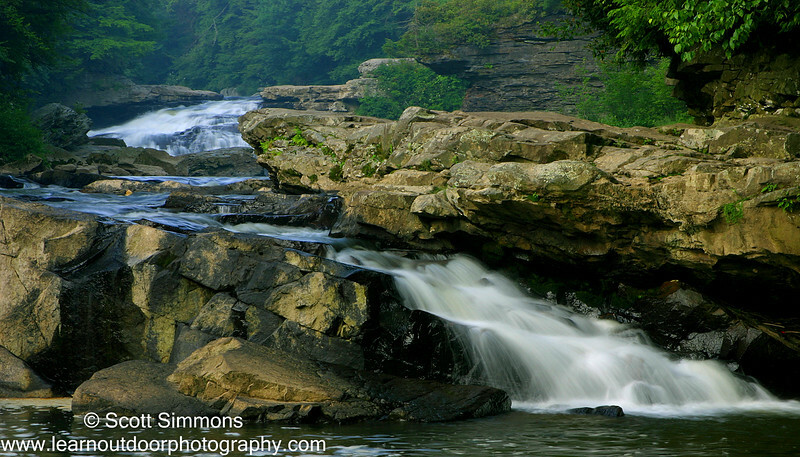 Muddy Creek also converges with Youghiogheny River, and Muddy Creek Falls is a 53-ft falls and the tallest falls in MD. A little off the main trail you can find Tolliver Falls, which is a small but beautiful falls in a stream that empties into the Youghiogheny River. If you want to go there for photography, you'll want to get there early. Especially on summer weekends, the park fills up during the day with swimmers and sunbathers. When you enter the trail area, the main trail makes a circle. 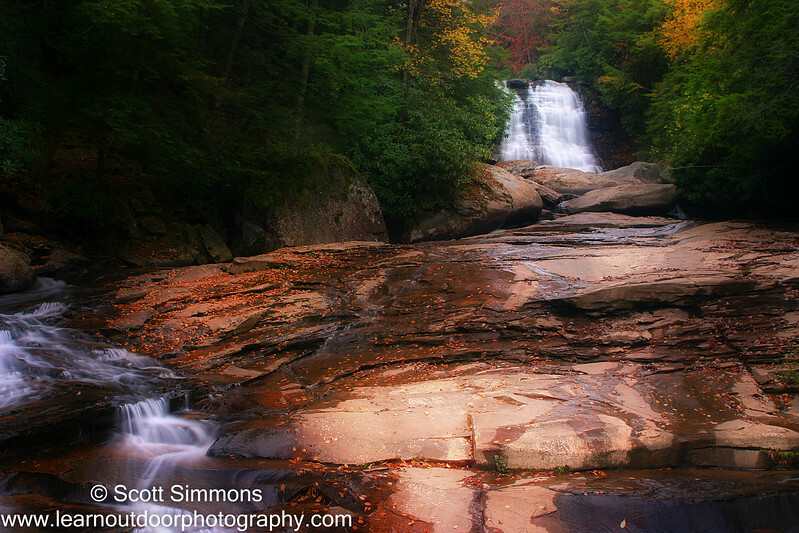 I usually go left to photograph Muddy Creek Falls. I then walk the trail around to Lower and Upper Swallow Falls. At Upper Swallow Falls, you can take a trail that heads back to the parking lot, but I'd highly recommend following the path that goes up stream on the Youghiogheny. That trail will lead you to Tolliver Falls. From there you can follow a path to the parking lot. At virtually every spot along the trail you can find great subjects for photography: falls, trees, under growth, rock formations, wildlife, and the list goes on. There's also a place to park outside the park entrance, just east of the Youghiogheny River on Swallow Falls Rd. There you can also find a trail that follows the eastern bank of the Youghiogheny River. Along this trail there are many places where you can photograph the falls from the other side of the Youghiogheny. 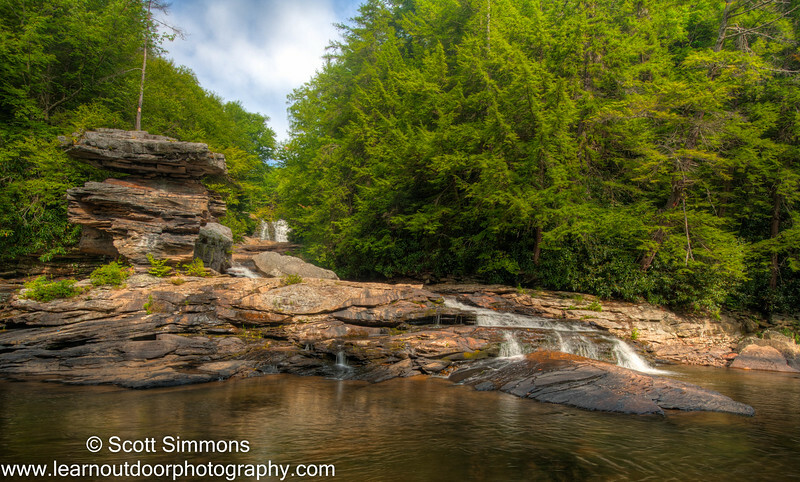 Because it's less traveled, you can find views of Swallow Falls and Muddy Creek falls that are not as frequently photographed. To me, Swallow Falls State Park is a magical place. It has everything I miss, now that I'm living in Florida. I highly recommend it to anyone interested in nature photography. 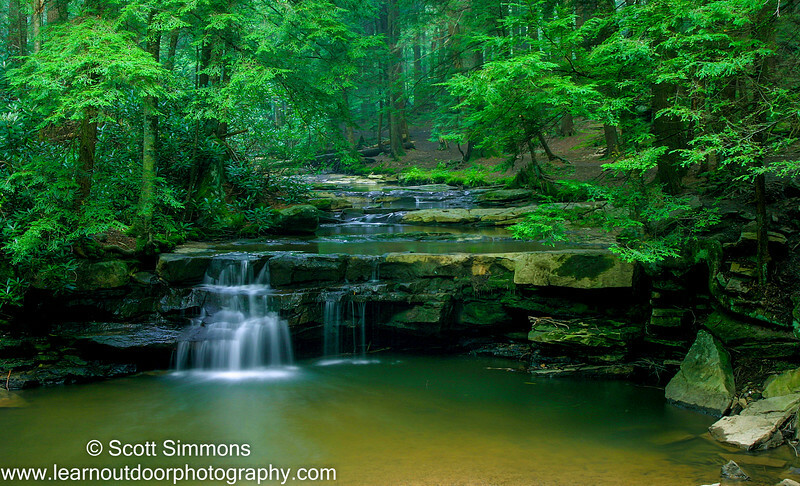 You can see my smugmug gallery of Swallow Falls here. Scott, these are fantastic images!